My re­se­arch in­te­rest is cen­te­red around novel organic semiconductors, based on organic molecules as well as hybrid perovskites. These ma­te­ri­als hold great po­ten­ti­al for the use in next ge­ne­ra­ti­on en­er­gy re­la­ted ap­p­li­ca­ti­ons such as light-emit­ting di­odes and pho­to­vol­taics, as well as elec­tro­nic ap­p­li­ca­ti­ons like tran­sis­tors and me­mo­ry de­vices. In these mul­ti­laye­red struc­tu­res, char­ge trans­port bar­ri­ers bet­ween the different se­mi­con­duc­tors or to the in­or­ga­nic con­tact ma­te­ri­als play a cru­ci­al role for the de­vice per­for­mance. The­re­fo­re, my re­se­arch is focus on mea­su­ring, un­der­stan­ding, and in­flu­en­cing the en­er­ge­tic pro­per­ties and the alignment at in­ter­faces using photoelectron spectroscopy. I want to cor­re­la­te fin­dings re­gar­ding the en­er­ge­tic pro­per­ties with the elec­tro­nic per­for­mance and de­vice cha­rac­te­ris­tics. Fur­ther­mo­re, I in­ves­ti­ga­te the con­cept of controlled molecular do­ping in organic semiconductors, which makes it pos­si­ble to im­pro­ve the film and de­vice per­for­mance due to the pas­si­va­ti­on of un­wan­ted trap sta­tes, the in­crea­se in film con­duc­tivi­ty, and the pos­si­bi­li­ty to con­trol the Fermi level po­si­ti­on. Since 11/2012 University of Cologne, Junior researcher (Habilitand) at the Institute for Physical Chemistry in the group of Prof. Klaus Meerholz. Head of the Surface Science Laboratory. 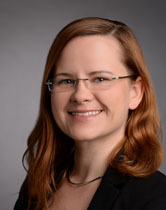 Technical University Dresden, Eleonore Trefftz Visiting Professor at the Center for Advancing Electronics Dresden (cfaed) and Dresden Integrated Center for Applied Physics and Photonic Materials (IAPP). Princeton University, DAAD Fellowship Post-Doc position at the Department of Electrical Engineering with Prof. Antoine Kahn. Technical University Dresden, PhD studies at the Institut für Angewandte Photophysik in the group of Prof. Karl Leo. PhD thesis: Photoelectron Spectroscopy on Doped Organic Semiconductors and Related Interface. Max-Planck-Institute for Solid State Research, in the group of Prof. Klaus Kern. Diplomarbeit (Master Thesis) on the topic. Rastertunnelmikroskopie und –spektroskopie an Halbleiternanostrukturen (English: Scanning tunneling microscopy and spectroscopy of semiconductor nanostructures). NUI Maynooth, Erasmus Fellowship for a two semester studying abroad in Maynoot, Ireland. 2000 – 2006 University of Stuttgart, Studying physics with focus on astrophysics, particle physics, and nanotechnology. Complete List of Publications and Presentations can be found here. K.O. Brinkmann, J. Zhao, N. Pourdavoud, T. Becker, T. Hu, S. Olthof, K. Meerholz, L.Hoffmann, T. Gahlmann, R. Heiderhoff, M.F. Oszajca, N.A. Luechinger, D. Rogalla, Y. Chen, B. Cheng, and T. Riedl, Nat. Commun. 8 (2017) 13938. S. Olthof, K. Meerholz, Sci. Rep. 7 (2017) 40267. J. Emara, T. Schnier, N. Pourdavoud, T. Riedl, K. Meerholz, and S. Olthof. Advanced Materials 28 (2016) 553. C. Poelking, M. Tietze, C. Elschner, S. Olthof, D. Hertel, B. Baumeier, F. Würthner, K. Meerholz, K. Leo, D. Andrienko. Nature Materials 14 (2015) 434. Correlation of open-circuit voltage and energy levels in zinc-phthalocyanine: C60 bulk heterojunction solar cells with varied mixing ratio. M. L. Tietze, W. Tress, S. Pfützner, C. Schünemann, L. Burtone, M. Riede, K. Leo, K. Vandewal, S. Olthof, P. Schulz, and A. Kahn. Physical Review B 88 (2013) 085119. Mechanistic Study on the Solution-Phase n-Doping of 1,3-Dimethyl-2-aryl-2,3-dihydro-1H-benzoimidazole Derivatives. D. Naab, S. Guo, S. Olthof, E. G. B. Evans, P. Wei, G. L. Millhauser, A. Kahn, S. Barlow, S. R. Marder, and Z. Bao. Journal of the American Chemical Society 135 (2013) 15018. Passivation of trap states in unpurified and purified C60 and the influence on organic field-effect transistor performance. S. Olthof, S. Singh, S. K. Mohapatra, S. Barlow, S. R. Marder, B. Kippelen, and A. Kahn. Applied Physics Letters 101 (2012) 253303. Ultralow Doping in Organic Semiconductors: Evidence of Trap Filling. S. Olthof, S. Mehraeen, Swagat K. Mohapatra, Stephen Barlow, V. Coropceanu, J.-L. Bredas, S. R. Marder, and A. Kahn. Physical Review Letters, 109 (2012) 176601. Photoelectron spectroscopy investigations of recombination contacts for tandem organic solar cells. S. Olthof, R. Timmreck, M. Riede, and K. Leo. Applied Physics Letters, 110 (2012) 113302. Investigation of C60F36 as non-volatile p-dopant in organic optoelectronic devices. R. Meerheim, S. Olthof, M. Hermenau, S. Scholz, A. Petrich, N. Tessler, O. Solomeshch, B. Lussem, M. Riede, and K. Leo. Journal of Applied Physics, 109 (2011) 103102. Highly doped layers as efficient electron-hole conversion contacts for tandem organic solar cells. R. Timmreck, S. Olthof, M. K. Riede, and K. Leo. Journal of Applied Physics 108 (2010) 033108. Energy level alignment at the interfaces in a multilayer organic light-emitting diode structure. S. Olthof, R. Meerheim, M. Schober, and K. Leo. Physical Review B 79 (2009) 245308. Photoelectron spectroscopy study of systematic varied doping concentrations in an organic semiconductor layer using a molecular p-dopant. S. Olthof, W. Tress, R. Meerheim, B. Lüssem, and K. Leo. Journal of Applied Physics 106 (2009) 03711. Origin of open circuit voltage in planar and bulk heterojunction organic thin-film photovoltaics depending on doped transport layers. C. Uhrich, D. Wynands, S. Olthof, M. Riede, K. Leo, S. Sonntag, B. Maennig, and M. Pfeiffer. Journal of Applied Physics 104 (2008) 043107.